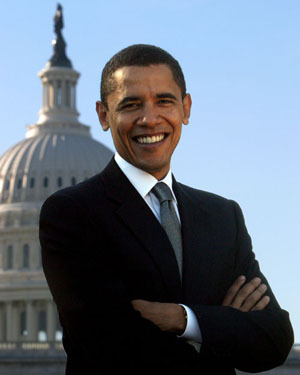 Democrat Barack Obama, who was elected as the 44th President of the United States, is known to be an admirer of world’s largest democracy as well as father of the nation Mahatma Gandhi. Democrat Barack Obama is set to be the first African-American President of the United States of America after defeating his Republican rival John McCain. When reports last came in Obama had managed 297 Electoral u votes as against McCain’s 146 while he needed 270 to win the historic the race for the White House. 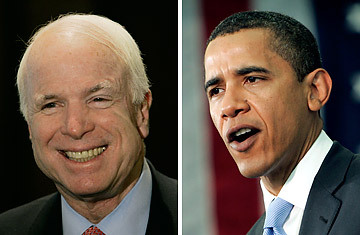 Mccain called Obama to congratulate him on victory. America is just hours away from knowing who will be the country’s new President. As the race for the White House nears the finish line, we bring you facts about America and presidential candidates Barack Obama and John McCain. If McCain wins he will be the oldest US president. You are currently browsing the Free to share your thoughts blog archives for the day Wednesday, November 5th, 2008.